I'm back again with another game. Continuing the tradition of making a new game every december (2015, 2016, 2017) ! 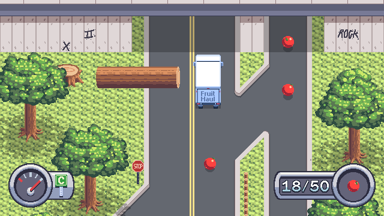 Control a truck with your mouse to collect fruits as you drive. You must avoid going off-road as the screen pans or else you get damaged. There are a total of 12 levels, 3 for each season of the year. 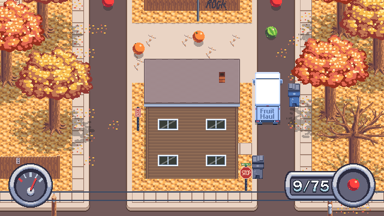 Each level has some thing new, whether it's a different environment or a new fruit. Health (bottom left) depletes when you go off-road or crash. 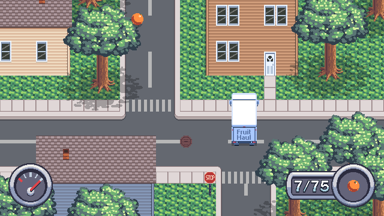 Heal by collecting fruits or reaching a checkpoint. 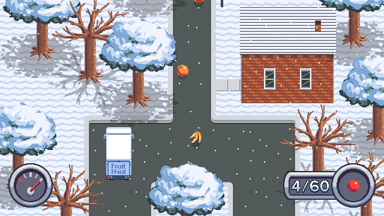 Collect all fruits in a level to make the level gold in the map. Playing fullscreen (Alt+Enter) with a mouse may be difficult with a low sensitivity, so make sure to adjust it to your liking. Changing it in your system settings provides better accuracy, but an in game option is provided as well. Played it on Android and it works . Good job!